IT Management Services — In order for your Tampa Bay business to operate efficiently on a regular basis, it is important to make sure the internal aspects of your company are well maintained. The managed IT services we offer at Value Automation will protect your computer and network to guarantee that your business runs efficiently and effectively. Issues our IT management services resolve relate to network, software, database, or web-based failures. Value Automation will actively monitor your networks to make sure they are always secure and protected from potential threats. The last thing you want to have to worry about at work is network, software, database, or web-based failure because, with those problems, not only will the office experience a significant decrease in productivity, but you’ll also be forced to waste time and money trying to resolve them. Value Automation will continuously and actively monitor your networks to make sure they are always secure and protected from potential future threats. A large portion of the business we conduct today is executed over the internet. Because of this, it’s important to take advantage of managed IT services now more than ever before. You may not even realize defects are creeping into your IT systems; without a professional IT consultant it’s also very possible that you do not even realize how much better your systems could be operating. IT management services are crucial because they can give you a cutting edge advantage of your competitors. That is why you want to make sure your company’s computer networks are up to date and in the best shape possible at all times. Our technology advances on a daily basis, and it can be difficult to keep up with it all. That is why we do all the geek work for you. By letting us handle the information technology systems, you and your employees will have the convenience to spend more time on your work uninterrupted. If you run a business in Tampa, Clearwater or St Pete, or want to make sure the information technology systems you currently use are working properly, contact one of our IT consultants today. 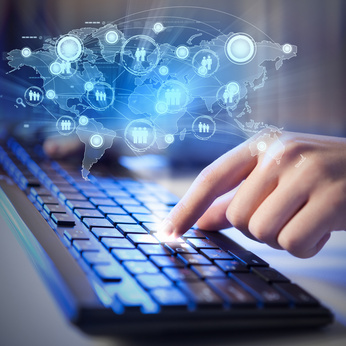 The IT management services we offer include end user services, infrastructure services, asset management, help desk support, incident management, performance management, LAN management, WAN management, and network administration for both business computers and home computers. Value Automation will evaluate your computer, network, server and hardware and communicate with you to determine your exact needs when it comes to technological services. We will then work to create innovative solutions and implement our IT management services to eliminate problems that either currently exist, or could pop up in the internal network of your computer systems in the future. Just imagine the frustration you would experience if a computer crashes, systems fail or data and work is lost…especially if this involved a security breach. It’s imperative to take the necessary precautions to protect the systems your business relies on before it’s too late. At Value Automation, we want to help our clients maximize the productivity and progress within their company by providing them with our specialty managed IT services. The benefits of our IT management services are important to take advantage of if you wish to protect and ensure the adequate operation of your computer and information technology services. For more information about the services we provide, or to speak with a professional and knowledgeable consultant, call us today at (813) 704-0302. We happily serve Tampa, St Pete, Clearwater, and other surrounding Florida areas.